Advanced Door Specializes in NJ Overhead Garage Doors. Since conception, Advanced Door has quickly developed a reputation of excellence. The company provides products including Sussex County garage doors, Jersey City garage doors and NYC garage doors, Advanced Door provides only the finest products and services in the overhead garage door industry. Because Advanced Door strives to bring you the the highest quality service, we have put together this NJ Overhead Garage Doors blog to help you gather valuable information pertaining to garage doors. We encourage you to look through this blog if you are thinking about starting a new garage door project. If you have any questions or want more information on their overhead garage doors and services, you can give them a call at (973)579-0043. Looking for the best Franklin Aluminum Garage Doors? Searching for Franklin residential garage door? Aluminum garage doors are usually found in places that have plenty of humidity in the air. 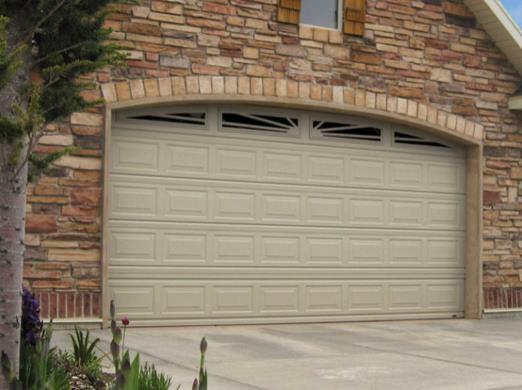 An aluminum garage door is also resistant to deterioration caused by weather factors. Homeowners looking for a fairly inexpensive and simple garage door often pursue an aluminum garage door which is affordable and easy to use. An aluminum garage door is a low-cost metal and is readily available through contractors and stores. They come in all different sizes and designs. Some homeowners needing aluminum garage doors with extra width or extra height can have the cost of the door and installation be higher. Almost all aluminum garage doors have flat panels with a shiny finish. The thickness of an aluminum garage door can vary due to the different grades. The higher the grade the higher the price of the aluminum door. The price of an aluminum door is less than a steel door. Aluminum garage doors come in many different styles. There are vertical panels which have a shiny finish to them. The horizontal panels are usually the most common of them all which are lightweight with a steel frame. Some types of aluminum garage doors include opaque glass windows that allow outside light to come through the garage door. Aluminum garage doors are used on new homes and older homes giving the homeowner the privacy needed and added value to the home at the same time. Aluminum garage doors give a designer look to any home even if the homeowner is on a budget. They are naturally rustproof and need very little maintenance. The thickness of a garage door affects the price. Therefore, deciding on the right material for the garage door is very important. An aluminum garage door offers a great deal of advantages. One advantage is low price. Aluminum doors last a long time and are not prone to rust and insect invasions. The homeowner can easily clean the doors with soap and water. An aluminum door can be easily lifted up manually if there is not an automatic garage door opener. While aluminum doors do not need any painting, they are very low maintenance. Are you in the market for the best Franklin Aluminum Garage Doors? Look no further and contact NYC Overhead Door Company. Above all your satisfaction with your garage door purchase, installation and maintenance is our highest priority. We will provide you with all your garage door questions. It is best to make sure on a monthly basis that the garage door is functioning as it should, rollers and hinges are cleaned and lubricated. 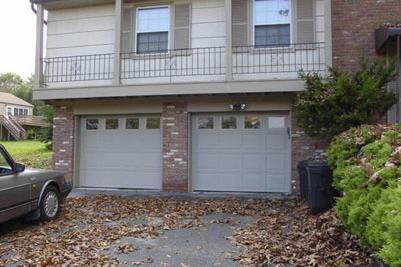 If you are suspicious of any damage, excessive wear and tear or problem with your aluminum garage door contact NYC Overhead Door Company right away. As a result our expertise and specialty in industrial, commercial and residential doors make us unique. We are a full service contractor always providing quality service to all our customers. We have customers in New York, New Jersey, Pennsylvania and across the entire United States. Let’s keep your garage door operating safely and reliably for years to come. Regular maintenance of your garage door by NYC Overhead door company is needed because it will provide you with the peace of mind that you can depend on. Give NYC Overhead Door Company a call today for a free estimate at (973) 579-0043 or visit our website to view all our selections. Our professional installation comes with a warrantee and you do not need to spend your entire weekend in your garage. We will do it all for you. Are you currently searching for the best Jersey City custom garage doors? Does your commercial or residential property have a need for Jersey City insulated garage doors? Getting the best custom made doors available is important to home and business owners. You want the garage doors to help maintain temperatures. Insulated garage doors come in many shapes, sizes and finishes. Your insulated garage door can help maintain energy efficiency while looking good. Are you losing money through your current garage doors because of heating and cooling inefficiency? Do they look and operate the way they should? Making the decision to upgrade your garage doors is a good way to improve the value of your property. Jersey City Insulated Garage Doors | What is the R value? The department of energy developed a rating system to help differentiate various insulation materials. Insulating materials like polystyrene or polyurethane are rated by their thermal resistance to conductive heat flow. Allowing heat to transfer without resistance is a waste of energy. Keeping cold air away from warm air is the goal of any insulation material. Exterior walls are typically rated R-13 to R-23. Your insulated garage doors might not reach this level. Getting an insulated garage door at an R-10 is a major improvement for residential buildings. Your commercial garage door has the potential to reach R-14.5 which is outstanding. Business owners have varying needs and higher energy costs affecting their decision. Investing in a high end insulated door is sometimes necessary for certain applications. Jersey City Insulated Garage Doors | Are you losing energy through the seams around your garage door? Your insulated garage door requires a good seal when it is closed. Losing energy through cracked, broken or missing seals is a big problem. Can you feel the wind around the edges of the door? Is rain water seeping underneath the weather stripping? Can you see light around the sides of the door? Are you losing energy through the seams around your garage door? Having a high R rating on a garage door that isn’t sealed is almost as bad as leaving the door open. You can either buy the materials to seal an otherwise energy efficient door. Are you looking for a professional contractor to seal the door for you? You can get professional assistance for every aspect of your door. Professional installers can inspect your garage doors to insure proper functionality and energy efficiency. Does your garage door need to be replaced quickly? Are you facing an emergency situation? Has the automatic door opener stopped working? Are you looking to upgrade the doors as part of a remodeling project? Is it time to choose the correct garage doors for your new building? Choosing the right company to repair or replace your doors is as important as choosing the right door. Your search criteria should include a company that has a solid track record for quality workmanship and customer service. We offer the very best choices for Jersey City insulated garage doors. You can get standard doors or custom designed doors fitted for any commercial or residential building. Our staff has the experience and knowledge necessary to answer all of your questions. You deserve the very best experience available when making the decision to upgrade your garage doors. Have you already decided what you want? You can give us a call today to speak with one of our consultants and schedule an appointment. Our company is proudly serving Jersey City for the last 20 years. Are you in need of Hoboken garage doors for either a commercial or residential location? Garage doors can fill the needs of a variety of situations. For some it may be a necessity while for others it may be a good option for decorative but also utility needs. No matter what you’re personal needs are, there’s a perfect garage door out there for you. With a huge range of styles and materials available, you’ll find the perfect match guaranteed. Here are some of the options you can choose from for your Hoboken garage doors. 1. Aluminum – Aluminum is a popular material used for garage doors. It has great durability while also being lightweight. Because it is lightweight, it will wear on the mechanism less and may therefore require less maintenance to keep it going. It can also be painted and made to fit many different color schemes or aesthetic styles. 2. Steel – Steel is essentially just a heavier, more durable version of aluminum. Because it is heavier, it will be able to take more of a beating than aluminum will. On the flip side of this, it will be harder to open manually should you ever need to and will wear more on the pulley mechanism. It can similarly be painted and made to fit perfectly with your home or business. 3. Wood – Wood garage doors have a very beautiful and unique aesthetic that can’t be matched by any other type of door. They have a rustic appearance to them that many homeowners would love. It will require a bit of work to keep it in top condition, as any wooden item does. It will need to be refinished regularly and may be a bit more on the expensive side. 4. Glass – Glass garage doors have grown in popularity recently due to their beautiful looks. While these Hoboken garage doors may not be the most ideal for privacy in a residential setting, they do fit some other purposes well. They can double as large windows and allow for beautiful amounts of natural light to flood in. If you have a modern aesthetic and want the best of the best, glass may be perfect for you. Looking for Professionally Installed Hoboken Garage Doors? If you need new Hoboken garage doors for a residential or commercial space, contact Advanced Door today! They’re a family-owned and operated business that has been providing exceptional services since 1998. No matter what size project you have, Advanced Door has the capabilities to get it done right. For more information, contact them today by calling (973)579-0043 or visit the website! Searching for the best Jersey City Custom Garage Doors? Are you looking for a Jersey City Aluminum Garage Doors? Or Vinyl? or Artificial Wood? Did you know that extreme hot or cold weather affects your garage door? A heated or air conditioned garage space is perfect for maintaining your car at a cozy temperature inside no matter what the weather looks like outside. So how does a wood garage door endure in extreme cold temperature outside versus more comfortable temperature inside? Basically, when it is cold it expands on the inside and contracts on the outside, which can cause bending. Then as the weather gets warmer the opposite occurs, with the cooler air on the inside and the extreme warmer weather on the outside the garage door will bend the other way. The continuous burden on the garage door will produce buckling, splintering and cracking. If you have a heated or cooling garage space area maybe you should look into a custom garage door suited for your home. There are different types of garage door materials to look into. Extreme hot weather heats up your garage doors even if they do not get direct sunlight. Wooden garage doors and hot, humid weather do not blend well together. The excess moisture speeds up the deterioration of the wood when a protective coating is not applied when the door is installed. A protective coating can prevent any damage to the garage door from severe weather. Homeowners need to be alert in regards to any water or melting snow near the garage door. When water freezes it can freeze shut the garage door, which then can strain the frame and damage the components to open and shut the door. Too much moisture around the doorframe of the garage door can cause swelling affecting the garage door operation from working properly. Extreme cold temperatures can also cause the springs on the garage door to become brittle and break off, affecting the motion of the door opening and closing. With extreme pressure on the springs they can break and snap off making the entire door fall off the frame. Whether you have a street facing or a side facing garage door, it is very visible and will affect the curb appeal of your home. A new custom garage door adds value to your home. There are a big variety of places to buy a new garage door. Dealing with a reputable garage door company is wise. Most companies employ their own professional installers and technicians, which guarantee a job well done. A good reputable garage door company will take your schedule into thought, as well as agree to work at a time that is convenient for you. Looking for the best Jersey City Custom Garage Doors? Look no further and contact Advanced Door at 973-579-0043 and ask for a FREE estimate. Advanced Door has been a family owned business since 1998. We are dedicated to our customers and our goal is 100% customer satisfaction. Advanced Door is a full-service contractor providing quality service to residential, industrial, and commercial clients. Give us a call today for your garage door needs. When you buy a home, you look for the perfect house to fit your requirements, you choose the size, style and look. You are the customer, and you choose a home that fits your wants and needs. You choose interior colors and finishes to your taste. The same rule should apply when choosing doors for your garage. You choose custom doors for your garage because you have paid so much attention to the detail in the rest of your home. Your garage is part of your home, part of your investment, it deserves nothing less. If you need help choosing Sussex County residential garage doors to compliment the rest of your home, contact a Sussex County custom garage doors specialist today. Just like the rest of your home, you should consider color, finish, window size and functionality when purchasing new garage doors. We are all busy these days, running all day, and that means a lot of coming and going out of your garage. You want a stylish door that is reliable, quiet and efficient. Aluminum garage doors are stylish and practical. They are lightweight so they are easy to install. If the power goes out, and you have to open your door manually, aluminum makes this a lot easier. They cause less wear and tear on tracks and pulleys because they are lightweight. Our aluminum doors come in a variety of colors. You can choose your custom aluminum door in white, almond, gray or brown. For a more colorful custom look, you can also choose green or blue. It’s up to you to choose the color to compliment your home. If you live in an area where your garage doors are buffeted by high winds, or if you have kids who love to hit baseballs into your garage door, steel doors may be a better option for you. Our carriage roll up garage doors are constructed of the highest quality two inch thick insulated panels. With white, sandstone or almond finishes to choose from, customizing is easy. Short panels? Long panels? The choice is yours, and with multiple window design choices available, you are sure to find the design to finish the look of your home. High quality seals ensure protection against snow and wind. These doors are rust resistant, and the finish will not fade or chip. If you love a more fashionable door with functionality and quality, look no further. 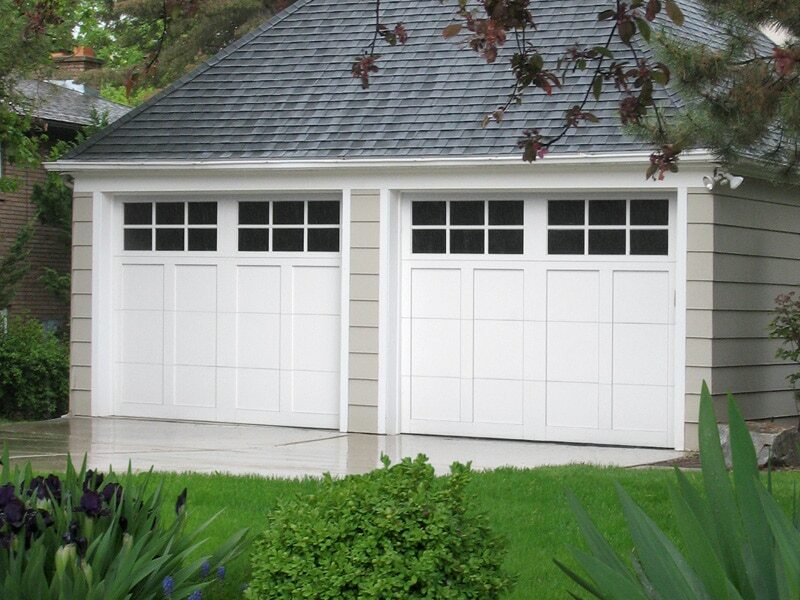 Our fiberglass garage doors have all the beauty and appeal of real wood without any of the obvious drawbacks. These doors will not crack, warp or fade like wood, or dent like aluminum. The quality of these doors speaks for itself. With a variety of wood grains and finishes, you can easily customize a door to your taste. If the choice of grains and colors do not offer enough variety, we have a wide selection of window arrangements. The outstanding insulation and weather seal standard with these doors block out street noise, while protecting your garage from the elements. The beauty of wood compliments any exterior of your home, and adds an elegant finishing touch. With all these finishes, materials and colors to choose from, you will have no problem choosing a custom door that is perfect for your garage, and, ultimately, your home. We have just the right door for every garage and offer a variety of rollers, springs and parts to get your new door moving. Contact a Sussex County custom garage doors specialist to get started today.